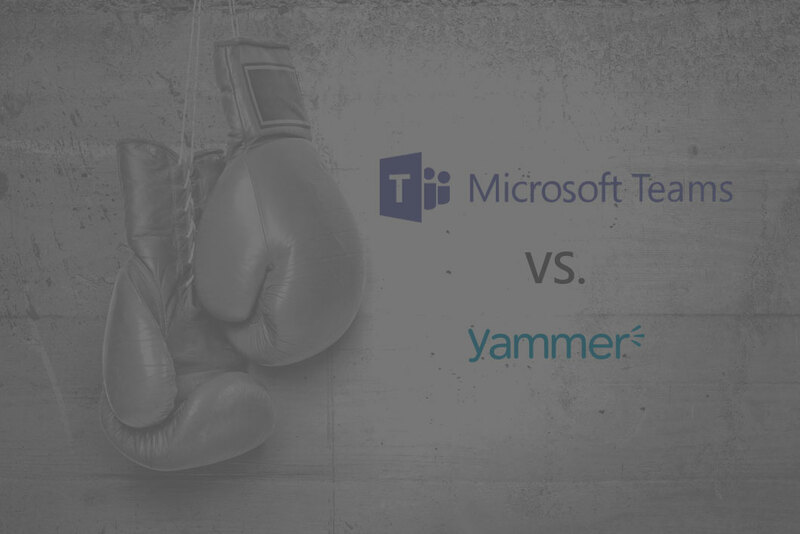 Microsoft Teams or Yammer… or Both? Since Microsoft Teams was released as a new communication and collaboration tool, organizations are asking themselves different questions depending on where they are at today. 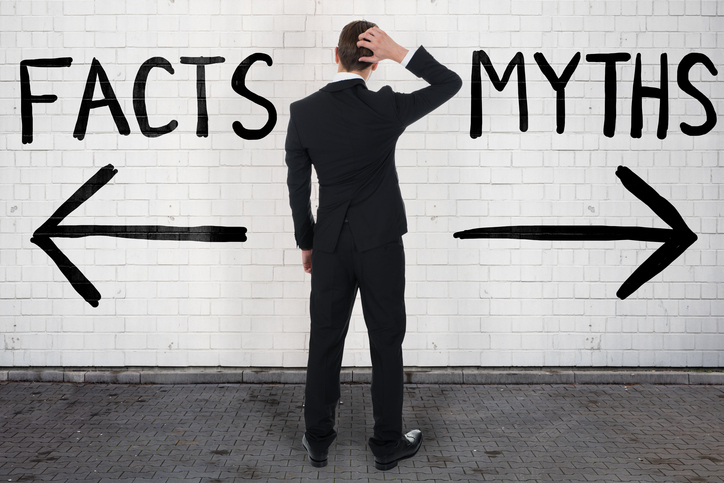 Some are not using Yammer or Teams currently and are wondering which they should adopt. Others are using Yammer today and are thinking of switching over to Microsoft Teams. There is a common misconception today that Yammer is going away and that Microsoft Teams was designed to replace the platform. This simply isn’t true. Microsoft continues to support and develop their Yammer platform. They have recently released new SharePoint Online Web Parts that allow you to show your important Yammer conversations right on your SharePoint Pages. Microsoft Teams now even includes the ability to add Yammer groups within your Microsoft Team to allow you to keep on top of your Yammer conversations without having to go into a different application. 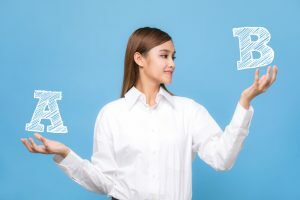 When people take a step back and look at both applications, they have several similarities which can make it seem like you need to choose only one for your organization for which to move forward. I’m here to tell you today that Microsoft did not mean to create this dilemma for you and that using both Microsoft Teams and Yammer within your organization is a part of the Office 365 roadmap plan. Microsoft Teams is designed to be an interface that allows you to connect to all the different sources of information you need to conduct your daily activities. That includes communicating with your team, collaborating on documents, tracking your tasks and deliverables, and in the near future, connecting to your SharePoint Online pages seamlessly. Yammer also allows for staff to communicate with one another as the core functionality. You also have the ability to share documents, create polls, and follow topics. When you list out the functionality of both applications, it can become clear why, when looking at both, it can be confusing which you should use for your targeted purposes. The way Microsoft describes it is that Microsoft Teams is meant for you to collaborate and work with your inner-team while Yammer is targeted communication for your outer-loop. Basically, if you working on a project with a small team or are wanting to share information within your own department, Microsoft Teams is best. If you want to share information with a much wider audience like the entire organization, that is where Yammer excels. Non-business-related social communications also work best in Yammer, where people can share information in a more informal manner. Yammer includes more typical social features like hashtags, where posts can be tagged with different topics that people are search out. 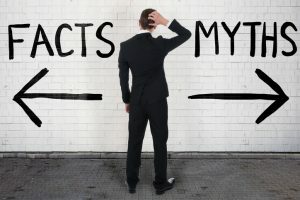 So if you’re asking yourself the question “Should I use Teams or Yammer?”, perhaps the question you should be asking is “Should I use Teams and Yammer?” Once you review and understand your communication needs and requirements, you may quickly find that leveraging both Teams and Yammer is the right solution for you. Ready to Get Started with Microsoft Teams and/or Yammer? If you’re ready to get started with Microsoft Teams and/or Yammer but not sure where to start, Imaginet is here to help. Our Imaginet certified Office 365 and Teams experts can help you get started with any of your business productivity initiatives. To find out more, schedule your free consultation call with Imaginet today. Drew McLean is a Imaginet Senior Microsoft Platform Consultant who specializes in delivery and implementation of Microsoft product solutions, including SharePoint, Exchange, Skype for Business, Microsoft Teams, Office 365, and Azure. Drew is certified in Microsoft® Certified Solutions Expert: Productivity; Microsoft® Certified Solutions Associate: Office 365; Microsoft® Certified Solutions Expert: SharePoint; Microsoft® Certified Solutions Associate: Windows Server 2012 and Cisco CCENT with highly notable proficiencies working with software, hardware, databases, and various operating systems.